Don’t Do It, Mr. Romney He’d have been a better president than Obama. That’s not nearly enough. I told him I’d been thinking about something and wanted his response. You can argue that a governor is a better presidential nominee than a senator because governors, unlike lawmakers, have to do something and can be judged by their performance, which is measurable. You can look at their terms and say they raised or cut taxes, which helped or hurt the economy. They reformed the prison system, or they failed to. They balanced the budget or they didn’t. They improved education or not. They succeeded or failed in creating a favorable business climate. There are numbers and statistics that can to some degree test their claims. They know domestic issues and can be judged on domestic issues. But they know nothing about the world. They haven’t been filling their brain-space with foreign policy and foreign affairs the past 20 years; they’ve been filling their minds with the facts of Indiana or Louisiana or New Jersey. Senators, on the other hand, can’t be judged by clear domestic measures. They don’t have to do anything but talk on TV. Their communications offices send out press releases on their latest bill, which goes nowhere because the Senate doesn’t really do anything anymore, it’s just a big talking machine. You can’t judge them by what they did on unemployment or schools or taxes because they haven’t done anything. Anyway, to the governor I said, in a world in which foreign affairs continue to be more important than ever, in a dangerous world with which we have ever more dealings, shouldn’t we be thinking about senators for the presidency, and not governors? He listened closely, nodded, then shook his head. No, he said, governors still have the advantage. Why? Because foreign policy still comes down, always, to your gut, your instincts. And your instincts are sharpened by the kind of experience you get as a chief executive in a statehouse, which is constant negotiation with antagonists who have built-in power bases. You learn what works from success and failure with entrenched powers that can undo you, from unions to local pressure groups to unreliable allies. Being a governor is about handling real and discernible power. A governor can learn what a senator knows more easily than a senator can learn what a governor knows. This will be one of the subtexts of the 2016 GOP presidential race. Regarding that race, the news this week was of Mitt Romney’s seriousness in considering running again for the nomination. I just spent two days at the Republican joint congressional retreat in Hershey, Pa., and can tell you there was exactly no Mitt-momentum. The talk, when it turned to 2016, was of others. 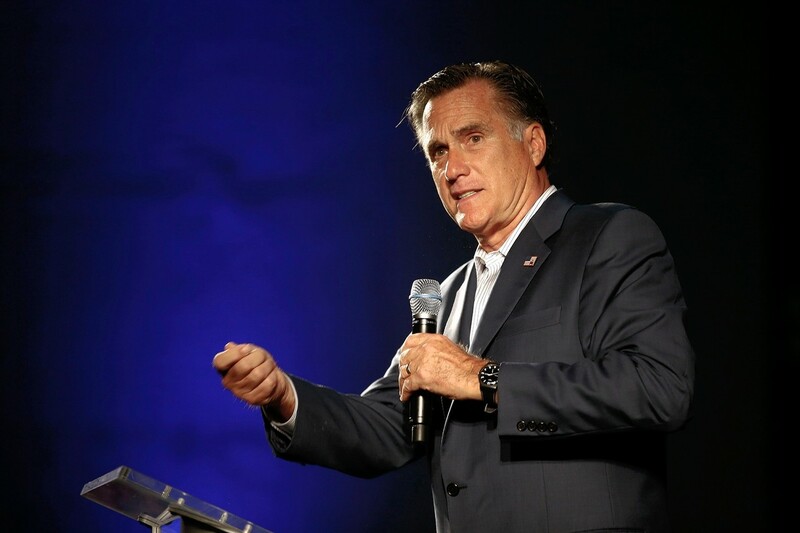 Those in attendance seemed to be trying to get the possibility of Mitt Part 3 through their heads, because while they understand it on a personal level—no one who’s been in the game ever wants to leave the game—they could see no compelling political rationale. Everyone this week came down on Mr. Romney. In major newspapers and on political websites they listed their reasons he shouldn’t run. He is yesterday, we need tomorrow. He is an example of what didn’t work, we have to turn the page. He is and always has been philosophically murky—it’s almost part of his charm—but it’s not what’s needed now. He ran a poor campaign in 2012 and will run a poor one in 2016. He was a gaffe machine—“47%”; “I have some great friends that are Nascar team owners”—and those gaffes played into the party’s brand problems. In defense of Mr. Romney’s idea, and what must be the impulse behind it, is this. If every voter in America were today given a secret toggle switch and told, “If you tug the toggle to the left, Barack Obama will stay president until January, 2017; if you tug it to the right, Mitt Romney will become president,” about 60% of the American people would tug right. It must be hard for him to know that, and make him want to give it another try. But it’s also true that America would, right now, choose your Uncle Ralph who spends his time knitting over the current incumbent. I add two reasons Mr. Romney should not run. Second, Romney enthusiasts like to compare him with Ronald Reagan, who ran three times. This is technically true, though 1968 was sort of a half-run in which Reagan got in late and dropped out early, because he wasn’t ready for the presidency and knew it. But his 1976 run was serious, almost triumphant, and won for him the party’s heart. The real Romney-Reagan difference is this: There was something known as Reaganism. It was a real movement within the party and then the nation. Reaganism had meaning. You knew what you were voting for. It was a philosophy that people understood. Philosophies are powerful. They carry you, and if they are right and pertinent to the moment they make you inevitable. He is a smart, nice and accomplished man who thinks himself clever and politically insightful. He is not and will not become so. He should devote himself to supporting and not attempting to lead the party that has raised him so high.